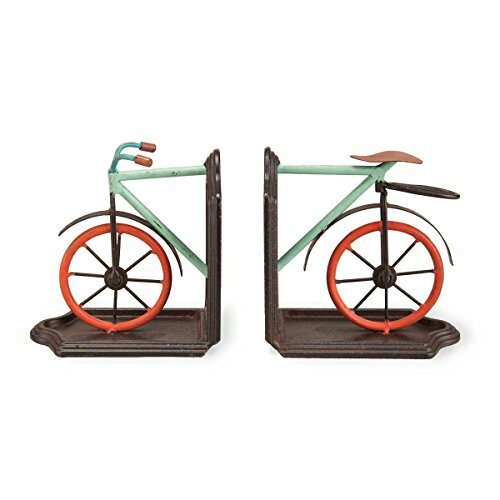 Keep your books in order with this set of two bike book ends. Their accent colors and clever design will add a splash of style to your book shelf for the perfect blend of form and function. These accent pieces make a great gift for cyclists and book lovers alike, so pick up an extra pair to give to that special someone. Measures 5x 3.25x 5.25. If you have any questions about this product by Foreside, contact us by completing and submitting the form below. If you are looking for a specif part number, please include it with your message.